We are back with part 2 in our series on middle schoolers and social media. 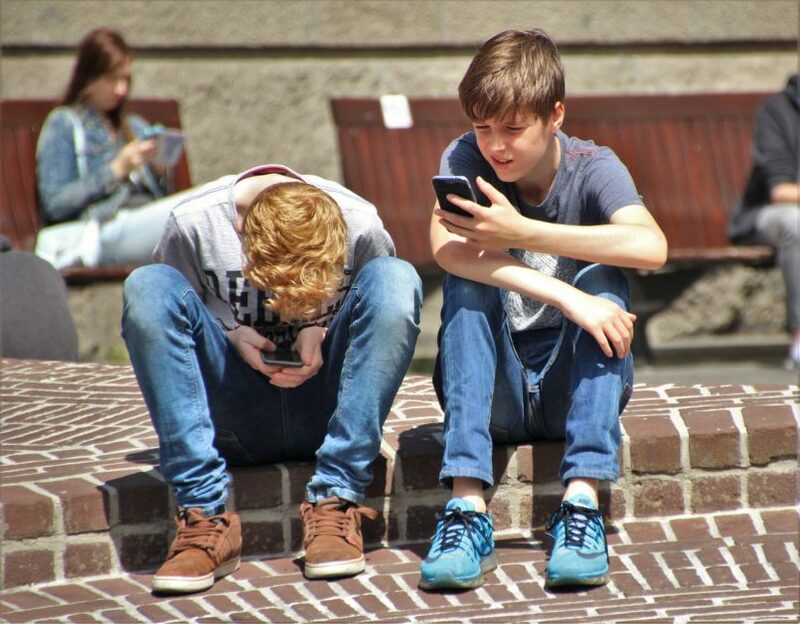 While parents of this generation didn’t have the option to be constantly connected, many middle schoolers today have their own smartphones, have social media they can check on all day, and have a very different social experience. Parents may feel they don’t know how to lay ground rules regarding social media because they never had to deal with it as a child. They might be concerned about the accessibility of adult information to their children, but pressured by their kids who say “everyone” at school is on social media. In our first blog we discussed how social media can be a dangerous platform for bullying, can cause you to constantly compare yourself to others, and can interfere with real world connections. We also touched on the positive side of social media, how it can connect people, inspire creativity, and help you gain a worldview outside of your own neighborhood. Social media is a complex issue when it comes to kids, and we want to help you be informed and take the proper precautions to ensure that your child can get the benefits and avoid the pitfalls. While we all did foolish things when we were younger, we didn’t share them all online like this generation. Middle schoolers are impulsive, reactionary, and can be just forming their opinions on big issues. Part of becoming an adult is talking about sensitive issues and navigating how to have an informed, rational debate. Did you ever prank call people as a child? Pass a note that wasn’t very kind? Say something on the phone about a friend that you wished you could take back? When you post things like that online, they form a permanent record that could be accessed by anyone—your parents, your friends, or even your future employers. It is important to emphasize to middle schoolers the difference between saying something and posting something to social media. An off-color joke, a thoughtless statement that could be taken as bullying, or even something that could be seen as sexually inappropriate could land your child in trouble today and affect their future. Social media can immortalize your behavior, words, and even things you just repost, so be sure your kids are careful to keep their social media free from offensive material. As parents, the ever present stranger danger has existed since your children first could toddle away from you at the playground. Trying to keep them safe from potential dangerous people is hard enough in real life, but social media can expose your child to strangers as well. Online, people can hide behind profile pictures and false identities to try to befriend middle schoolers and teens. Statistics reveal that nine out of ten teens post photos of themselves online, or use their real names or other identifying information. Couple this with the frightening statistic that 17 percent of teens have been contacted by someone online that they didn’t know and that made them feel frightened. There are predatory people online, and your middle schooler needs to be cautious as they enter the world of social media to not reveal too much information about themselves or make it easy for strangers to contact them. There are many apps, and even identifying information on photos that can give a user’s location, school, and even address. Teach your kids to remain private and discreet online and to only respond to trusted friends. This is where privacy settings come into play, and you need to not only help your kids know how to use them, but also keep tabs on whether they are indeed being kept to only friends and family. A great way to do this is to be friends with your kids on social media, follow their posts, and know who they are friends with. Checking in every so often ensures that your kids are being safe and learning how to use social media responsibly. Kids can have a tendency to want to overindulge (hey, adults do too), and they can go overboard with TV watching, candy, or even staying up too late. The same holds true for social media, and kids need limits on how often they are posting, scrolling through Facebook, or opening up Snapchat. There are some options through internet providers that limit the wifi connection in the home and you can set time limits and bedtimes on your kid’s smartphones. There are also apps that can connect your phone to your middle schooler’s so you can see when they are active and what they are posting and looking at. Maybe your middle schooler just needs to park their phone or tablet in your room at bedtime to not be tempted to look at Instagram for another hour. Setting healthy limits for your middle schooler’s social media use is necessary, and many kids are not good at self regulating. Here at New Vision Charter School in Loveland, we are always looking for ways to address concerns that our middle schoolers and elementary students may have. Partnering with parents to educate them about the issues facing middle schoolers is one way we strive to do that! If you are interested in seeing our school in person, take a free tour!